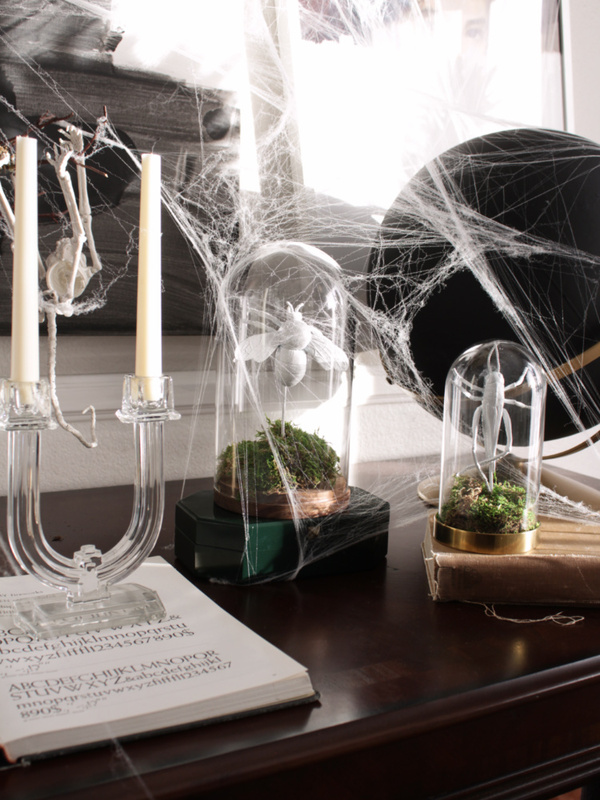 This has got to be the simplest way to decorate for Halloween! 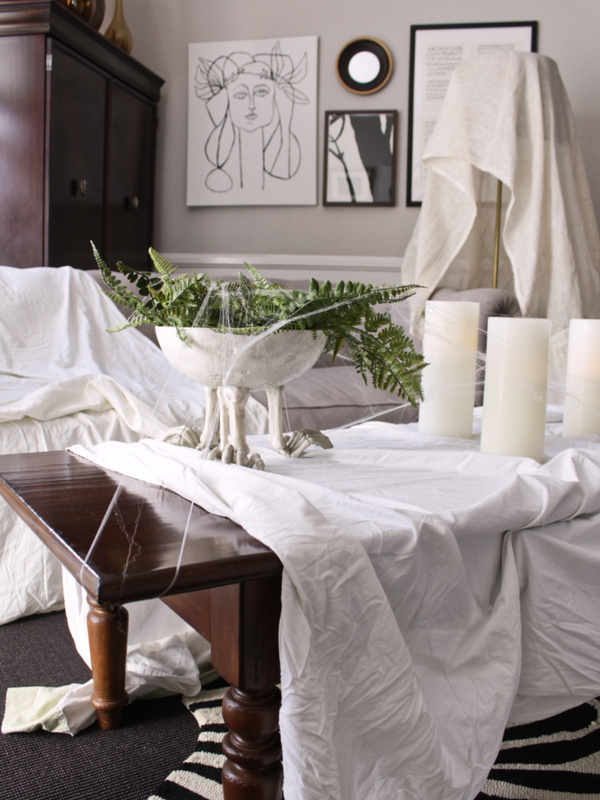 Give your home that "abandoned" look and cover the furniture in old white sheets. 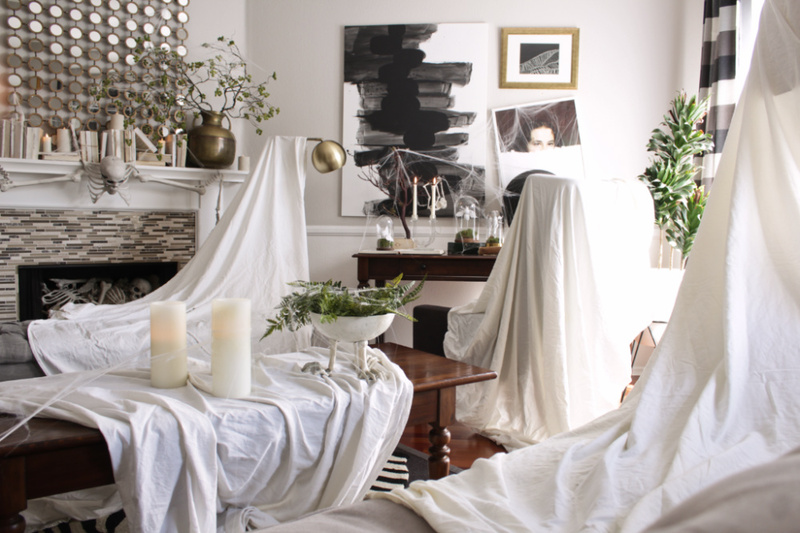 When the sun goes down, the candlelit room casts an eerie glow on the white sheets making them almost look like ghostly figures. 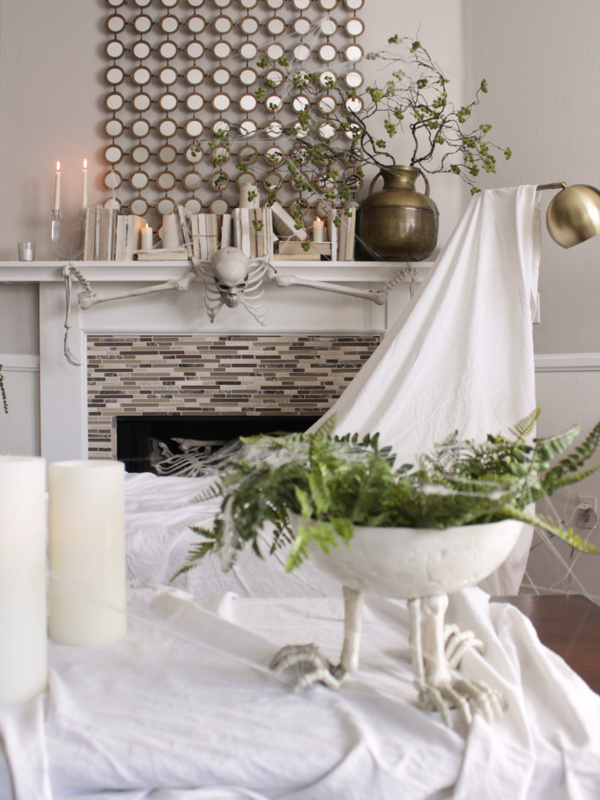 The design for my Halloween decor started with my DIY Skeleton Garland on the fireplace. 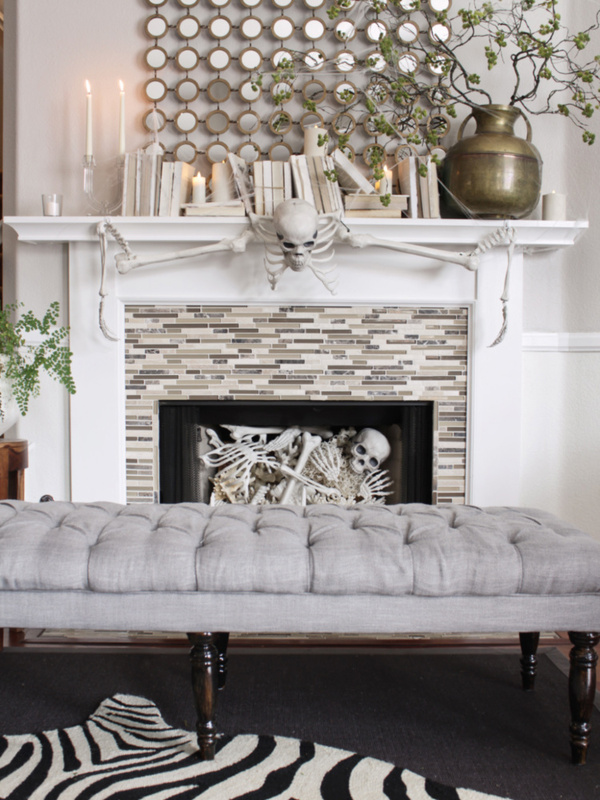 I think the fireplace is my favorite part of this year's Halloween decor. Or...or is it the bugs..? Oh, and just to let you know, I don't leave the sheets up during the whole month of October, LOL. 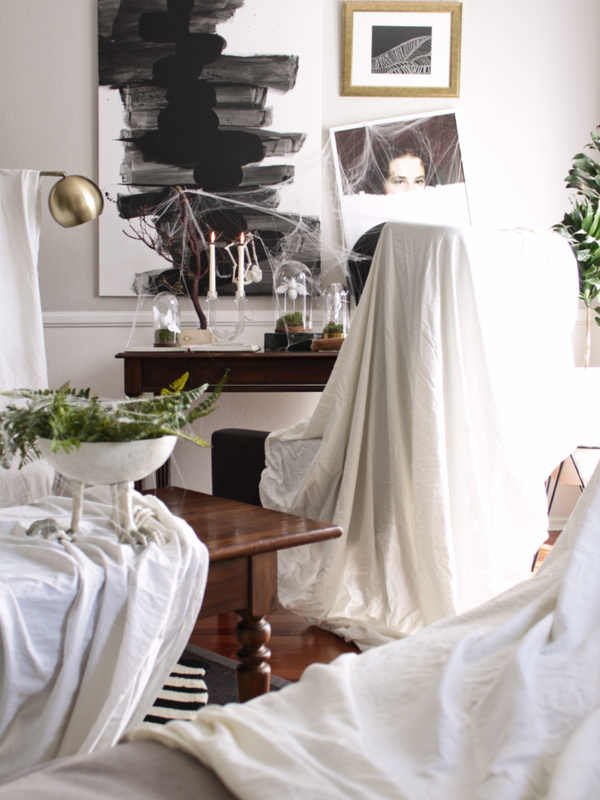 I drape the sheets on the furniture the morning of Halloween and everything comes down and gets stored away the following day. I just wanted to show you what it will look like :) . 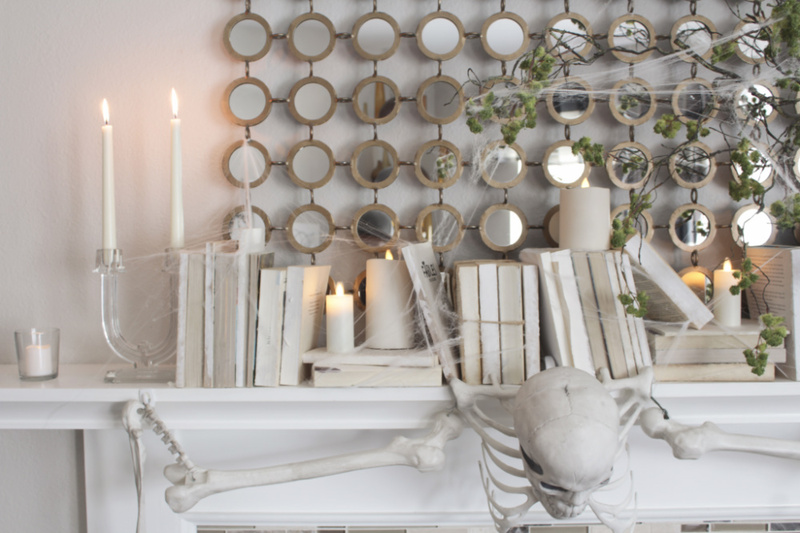 The rest of the Halloween decor like the mantel and bugs do stay up for a few weeks in October since those are easy to live with and don't really get in the way. P.S. you want MORE HALLOWEEN IDEAS? CLICK HERE to see them! 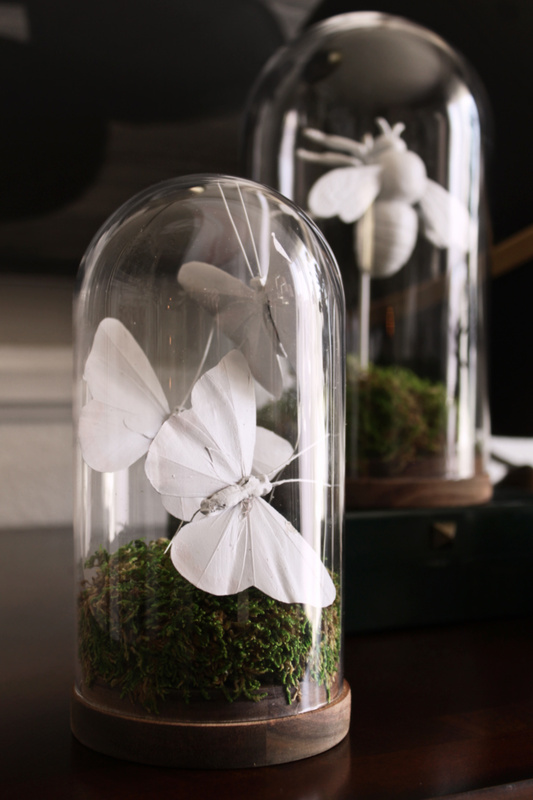 Ever since I can remember, I've been fascinated with curiosities like bugs and other things displayed behind glass. 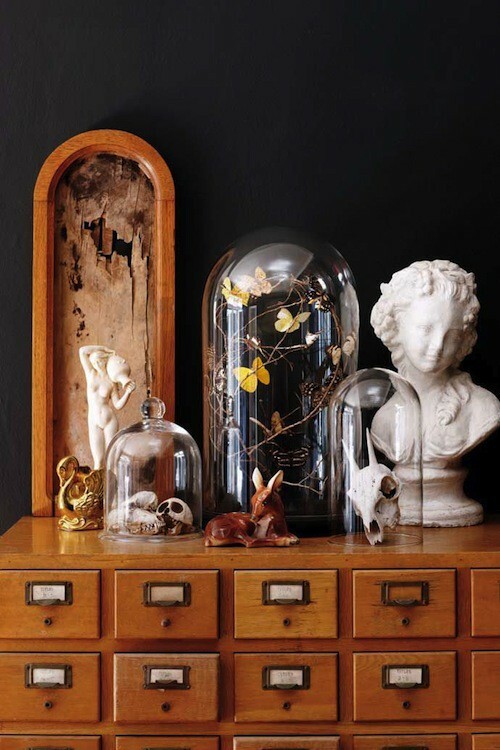 There's something eerily beautiful and mysterious about these oddities and seeing them displayed in a beautiful way is really enchanting to me. 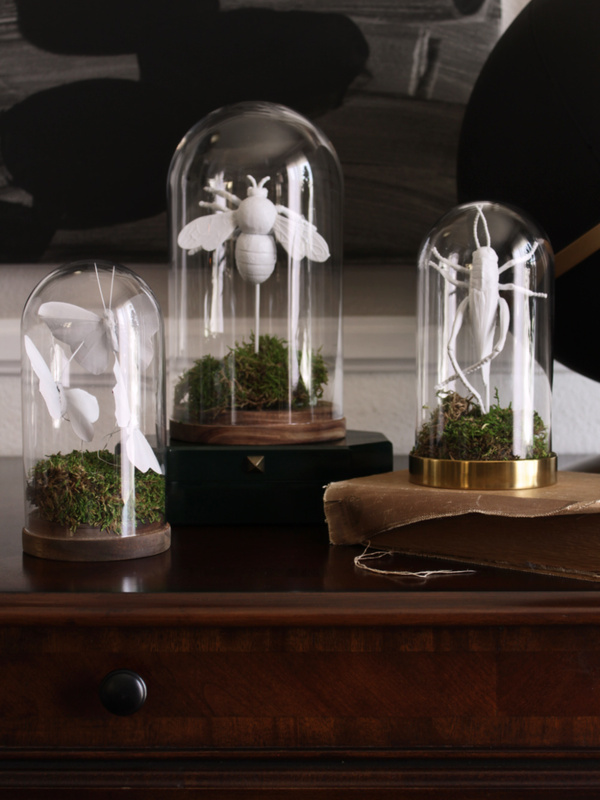 On a recent trip to IKEA I noticed that they carried a variety of cloches (or glass domes) and at very affordable prices. 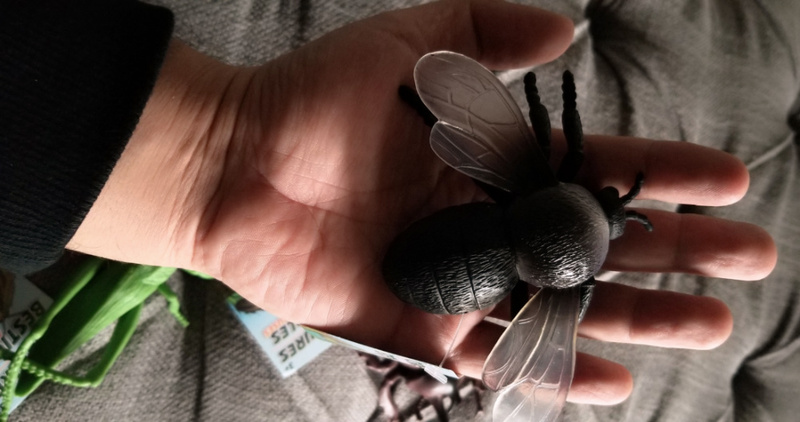 I decided to pick up a few and create a fun project for Halloween. 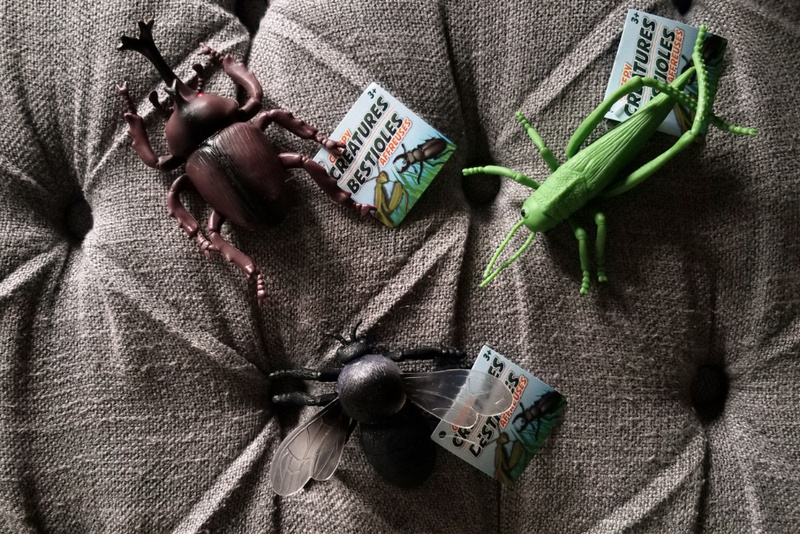 I wanted to display creepy bugs inside my cloches so I visited my nearest Dollar store and picked up a few rubber bugs and some butterflies. After spending just a few bucks at my nearest Dollar Tree, I was on my way home eager to start on this simple project! Can't go wrong for a dollar! The size of the bugs are pretty big! 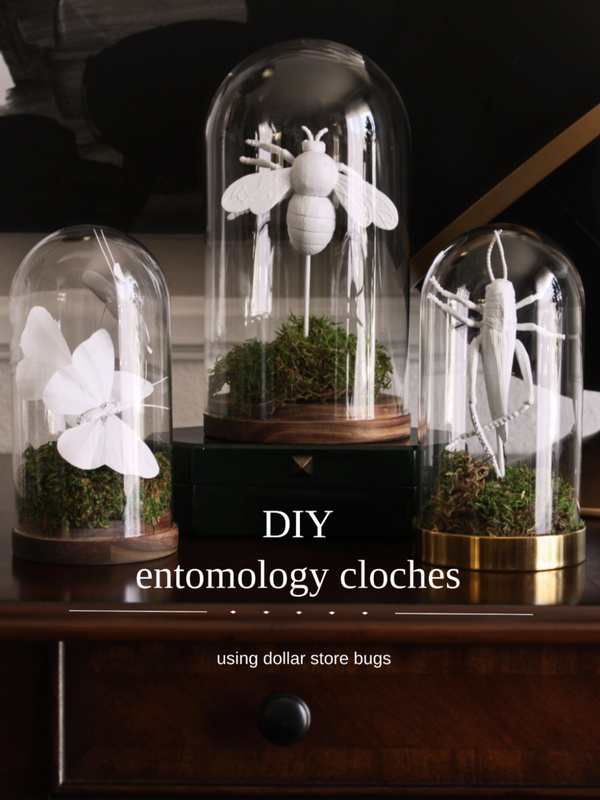 Determine how high your bug should be standing inside the cloche and cut your wooden skewer according to that height. 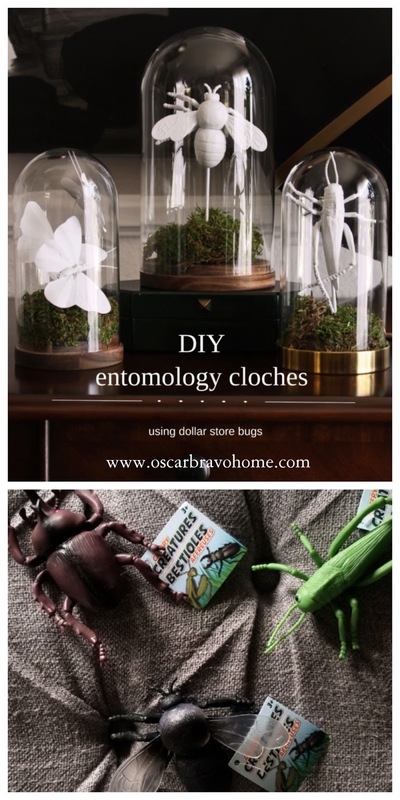 Attach the skewer to the underside of the bug using hot glue. 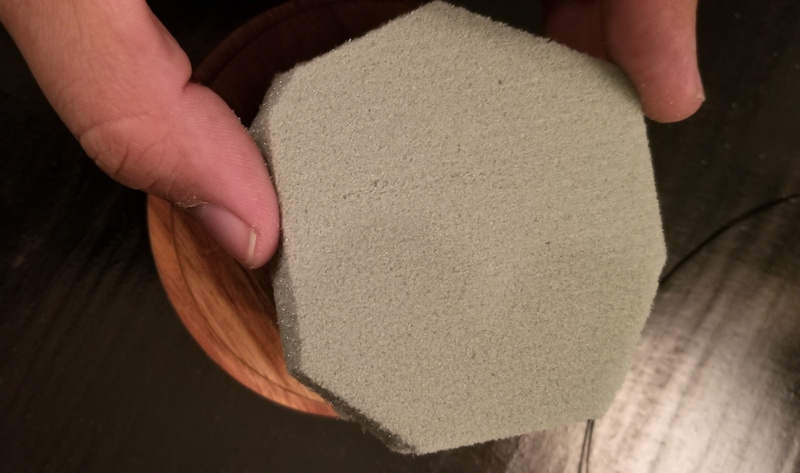 While you wait for the bugs to dry, cut some Styrofoam to fit on the base of your cloche and attach it with a little bit of hot glue and cover the Styrofoam with moss. 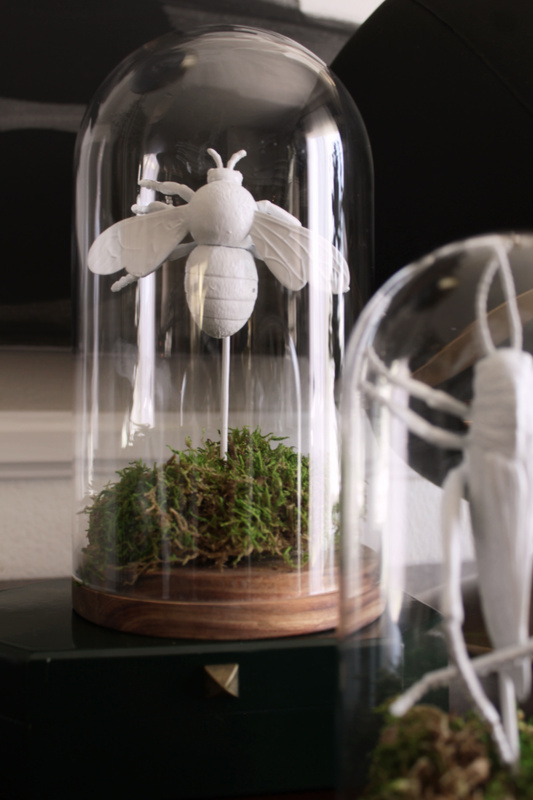 Us a bit of hot glue to attach the moss too. 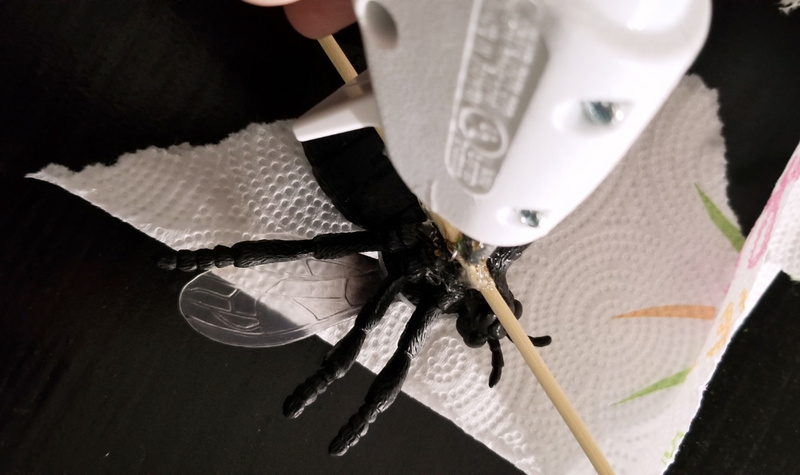 After a few hours your bugs should be dry. Stick the skewer right in the middle of the Styrofoam, put the glass dome over it and you're done! 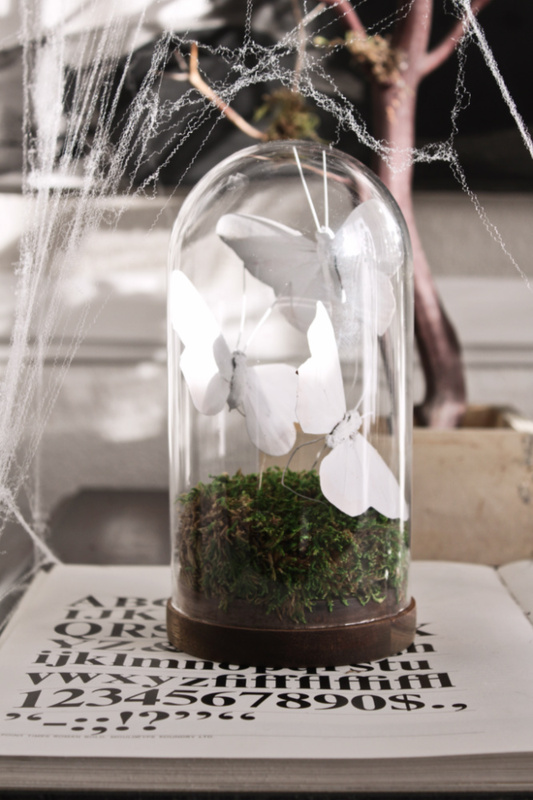 *Note: The butterflies already come with wire attached to them so all you have to do is stick the wire into the Styrofoam. No skewer needed! These beauties are currently adorning the desk in my living room. 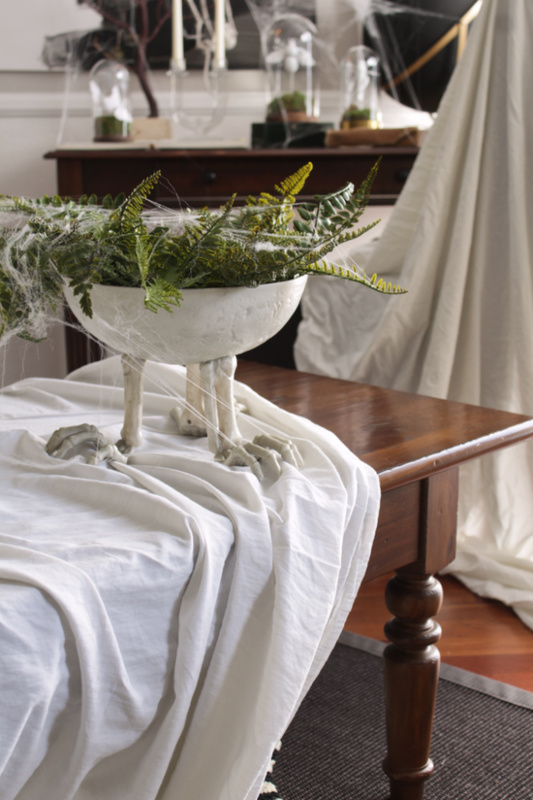 I'm going to add some webs and other creepy things to really make this vignette come alive for Halloween! Can't wait! 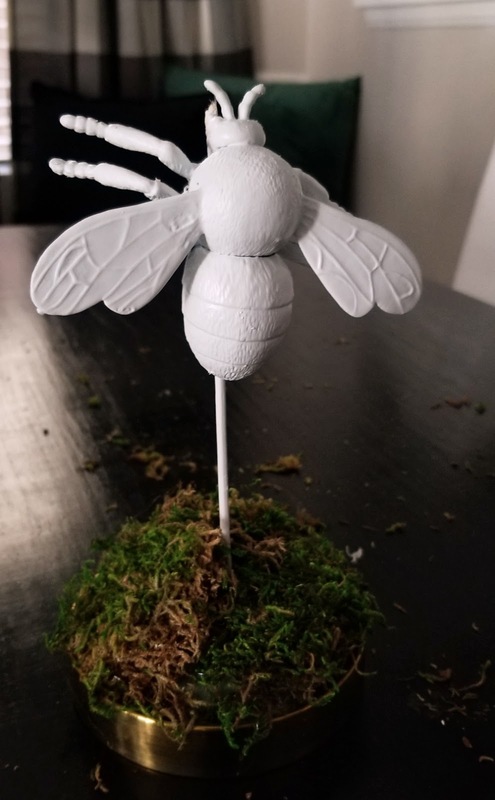 I really love the way these bugs came out! I know they aren't realistic-looking because they are white, but I still love how stricking they are. 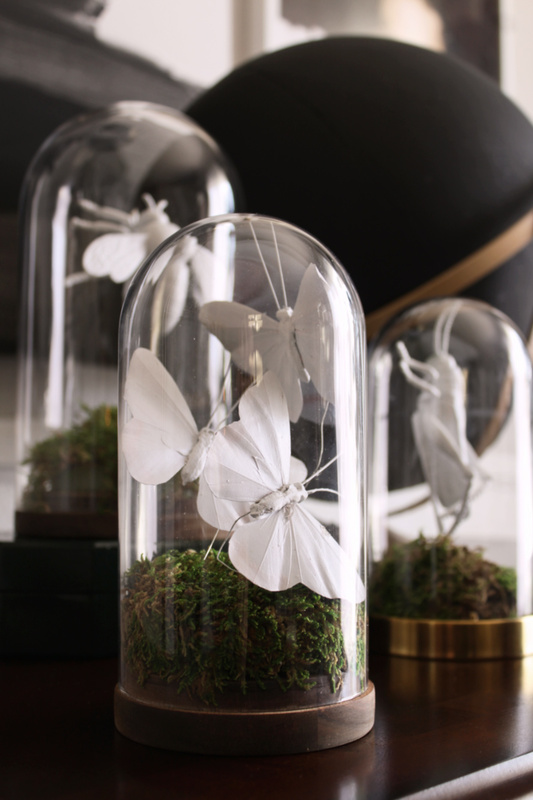 Because the bugs are white, they almost look sculptural -like little works of art. 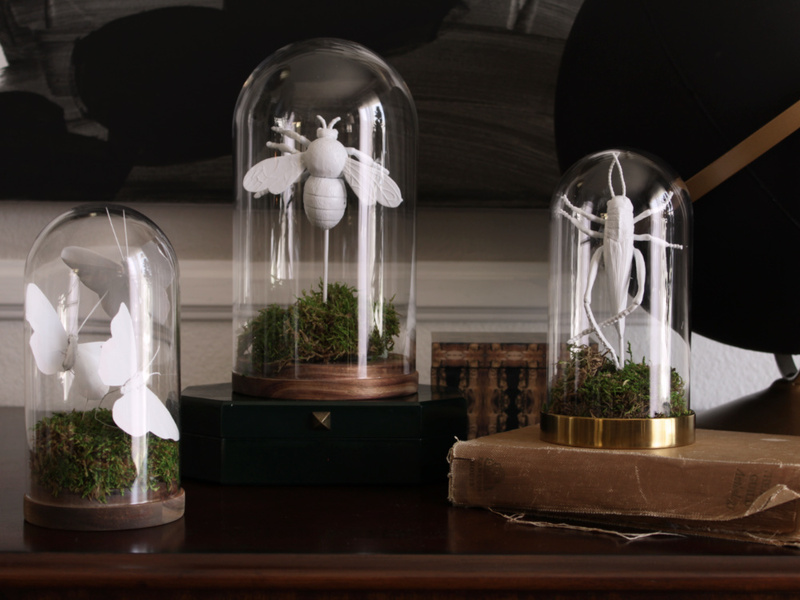 I can totally envision a bunch of these bug cloches filling a mantel...OMG that would look AMAZING! All that's left is to put up the webs! 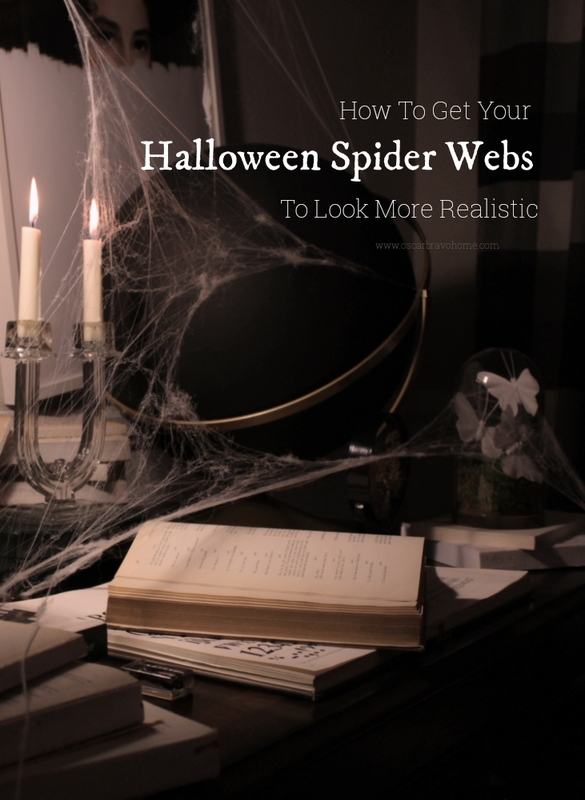 Actually, I already did put up the webs but I'm getting that post ready for you! 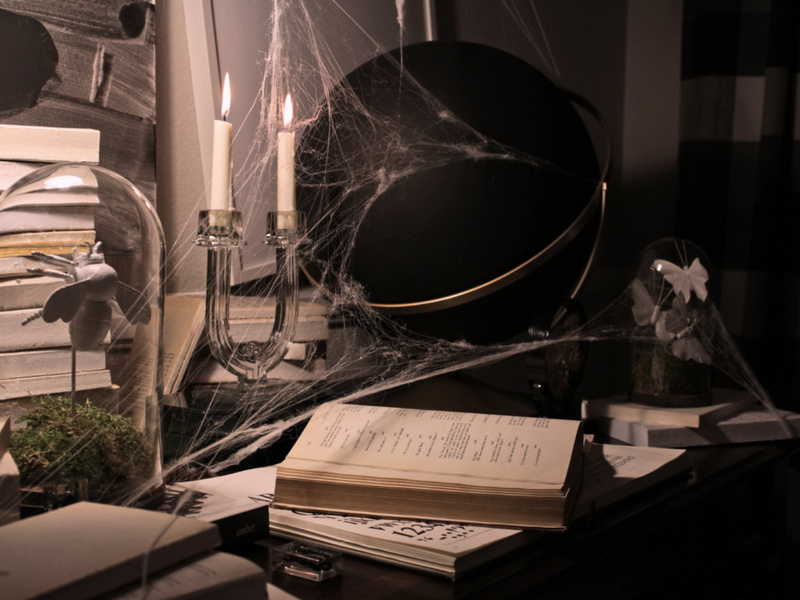 Stay tuned for some tips on getting your Halloween webs to look more realistic cuz nothing annoys me more than webs that look like SNOW! WEBBING POST IS DONE! CLICK ON THE PIC BELOW TO READ IT!